The region’s highest accolade in film, the Asia Pacific Screen Awards (APSA), today unveiled the first nominees for the 12th edition, announcing both the nominees for the inaugural Best Original Score Award and members of the 2018 APSA Music in Film International Jury, to be chaired by Ryuichi Sakamoto. Internationally renowned composer, musician and APSA Academy member Ryuichi Sakamoto will return to APSA as chair of the inaugural 2018 APSA Music in Film International Jury, a dedicated three-person jury of specialist practitioners to determine the new category winner. Sakamoto was the recipient of the prestigious APSA FIAPF Award in 2012. That same year he gave an exclusive performance at the APSA ceremony, where the virtuoso pianist performed a piece from the film Merry Christmas, Mr Lawrence (1983), in which he starred alongside APSA Academy President Jack Thompson AM PhD, Takeshi Kitano and David Bowie. Joining Sakamoto on the APSA Music in Film International Jury are two acclaimed international figures in film music: Indian composer and Music Director Sneha Khanwalkar (Gangs of Wasseypur), who also has her own music show on MTV India, and Australian composer, conductor and musician Nigel Westlake (Babe, Paper Planes, Miss Potter). The nominees and jurors will be inducted into the APSA Academy and the winner of the APSA Best Original Score in 2018 will be announced at the 12th gala APSA ceremony in Brisbane on 29 November 2018. The full list of nominations for the 12th Asia Pacific Screen Awards will be announced on 17 October 2018. Bomb, A Love Story: It’s 1988 and, at the height of the Iran-Iraq War, Tehran is bombed relentlessly. The days that pass are full of foreboding, and yet, love, affection, hope and life itself manage to sweep away the fear of death from those surrounded by it. Bomb, A Love Story is written and directed by APSA Academy member Peyman Maadi (A Separation) who was a recipient of the MPA APSA Academy Film Fund to support the film in the early script development stage. Eléni Karaïndrou was hailed by Time magazine as “Greece’s most eloquent living composer”. She was born in Teichio, a mountain village in central Greece. By the 1970s she was writing film and theatre scores, and her artistic development reached a turning point in 1979 with Christoforos Christofis’s Periplanissi (Wandering). Karaïndrou had a highly productive collaboration with the Greek film director Theo Angelopoulos (1935-2012) and worked on additional titles including The Suspended Step of the Stork (1991), Eternity and a Day (1998), The Weeping Meadow (2003), and Dust of Time (2008). In 2015, several of her compositions were used in Mad Max: Fury Road and she remains an active campaigner on behalf of her country’s musical traditions. Breath: Based on Tim Winton’s award-winning novel set in mid-‘70s coastal Australia. Two teenage boys, hungry for discovery, form an unlikely friendship with a mysterious older surfer who pushes them to take risks that will have a lasting and profound impact on their lives. Harry Gregson-Williams was born in England to a musical family. His attention focused on teaching, initially in England but later in Egypt. He started his film career composing for Nicolas Roeg, but it was his subsequent collaboration with Hans Zimmer that helped launch his career in Hollywood. Among others, Gregson-Williams was the composer on the Shrek and Chronicles of Narnia franchises, and many films by Ridley Scott including Kingdom of Heaven (2005), Prometheus (2012) and The Martian (2015). He has also scored three of the five games in the successful Metal Gear Solid series for Hideo Kojima. Gregson-Williams has won multiple awards and been nominated for a Golden Globe® and BAFTA®. His next project is Mulan. Mary Magdalene: Set in the Holy Land in the first century CE, a young woman leaves her small fishing village and traditional family behind to join a radical new social movement. At its head is a charismatic leader, Jesus of Nazareth, who promises that the world is changing. Hildur Guðnadóttir is an Icelandic composter, cellist, and singer at the forefront of experimental pop and contemporary music through her work in the band Múm. She entered the Reykjavík Music Academy before studying in Berlin. She has released four solo albums and appeared on the Oscar®-nominated score for Sicario. Jóhann Jóhannsson was born and raised in Reykjavík. He was a founding member of Kitchen Motors, an arts organisation, think tank and record label. As well as working as a composer of art installations like Drone Mass in 2015 and releasing solo albums, Jóhannsson was nominated for two Academy Awards® for The Theory of Everything (2014) and Sicario (2015) before his death in February 2018. The Portrait: In a musical tale about two spinster sisters anguishing over whether or not to sell the final masterpiece of their reclusive painter father, The Portrait is an ode to the passing of the world of truth and beauty right before World War II in Old Manila. Ryan Cayabyab was born in Manila, Philippines and is widely known as Mr. C. He is a Filipino musician and was the Executive and Artistic Director of the San Miguel Foundation for the Performing Arts. He was also a resident judge for the only season of Philippine Idol in 2006. His works range from commissioned full-length ballets, theatre musicals, choral and orchestral pieces, to commercial recordings of popular music, film scores and television specials. Cayabyab is now the executive director of the Philpop MusicFest Foundation Inc., the organization behind the Philippine Popular Music Festival, a song-writing competition for amateurs and professionals that seeks to encourage Filipinos to preserve their musical identity. Yomeddine: Beshay – a man cured of leprosy – has never left the leper colony in the Egyptian desert where he has lived since childhood. Following the death of his wife, he finally decides to go in search of his roots. Omar Fadel is an award-winning composer for film, television, and video games. He is a multi-instrumentalist whose scores frequently feature him on a wide array of instruments, including piano, guitar, cello, drums and percussion. Born in Houston, and raised between Texas and Dubai, Fadel’s global exposure is heard throughout his music and can be heard in the Afghanistan-set Oscar®-nominated film, Day One (2015). Fadel was selected to score the first Arabic language, American studio feature film, The United (2011). This was followed by the documentary In Search of Oil and Sand (2012) and The Dictator (2012). In addition to his film work, Fadel has scored several television shows, high profile commercials and film trailers. 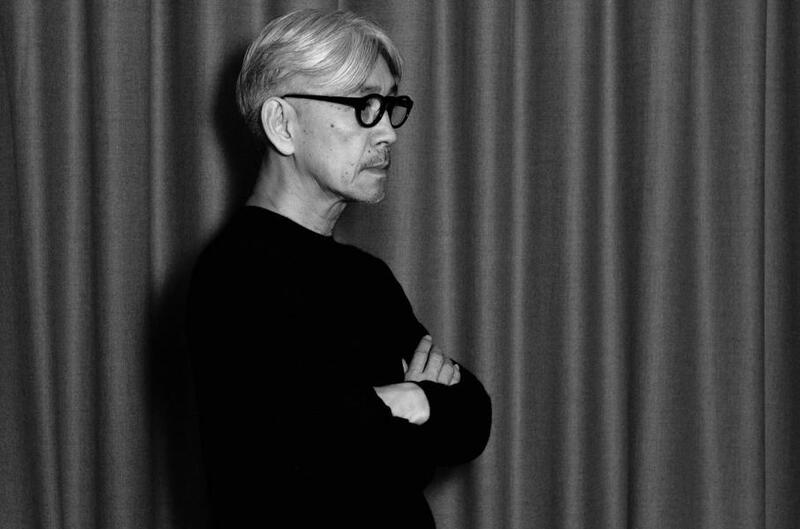 As composer, performer, producer, and environmentalist, few artists have as diverse a résumé as that of Ryuichi Sakamoto. Sakamoto’s work has spanned vast musical territories, from pioneering electronic music as a member of Yellow Magic Orchestra to crafting globally inspired rock albums, classical compositions, a stretch of minimal/ambient music collaborations, and over thirty film scores. His work has been recognized with accolades including an Academy Award, two Golden Globes, a Grammy, the Order of the Cavaleiro Admissão from the government of Brazil, and the coveted Ordre des Arts et des Lettres from the government of France. Sakamoto has collaborated with the likes of Bernardo Bertolucci, Nam June Paik, and His Holiness The Dalai Lama. Since 3/11 in Japan, Sakamoto has been a strong advocate of support and aid for the victims of the earthquake, tsunami, and anthropogenic nuclear meltdown in Fukushima, launching charity organizations and the music event, NO NUKES. In responding to the consumerism of the 21st century, his politically conscious dynamism has cemented his reputation as a renaissance man. In 2014, Sakamoto was forced to take the first major break of his career upon his diagnosis with throat cancer. Thanks to rest, friends, family, and fans were able to witness his return in just over a year, and he closed 2015 with 2 film scores: a collaborative score with Alva Noto for Alejandro González Iñárritu’s Academy Award®-winning The Revenant, and Yoji Yamada’s Nagasaki: Memories Of My Son. In 2017, besides releasing his 14th solo album async; Sakamoto gave performances at the Park Avenue Armory (NYC); composed the score for Korean film The Fortress (Hwang Dong-hyuk); along with Shiro Takatani created an audio/visual installation work, IS YOUR TIME, at the ICC in Tokyo; and the documentary Ryuichi Sakamoto: CODA (Stephen Nomura Schible) was released. Nigel Westlake’s career, spanning 4 decades, began as a clarinettist touring Australia and the world with many ensembles. He began composing from 1980, receiving offers to write for radio, theatre, circus, TV and film. His movie credits include Ali’s Wedding, Paper Planes, Miss Potter, Babe, Babe: Pig in the City, Children of the Revolution, The Nugget and the IMAX films Antarctica, Imagine, Solarmax and Wild Australia: The Edge. His television credits include documentaries, telemovies, news themes and station idents. He writes extensively for the concert hall, receiving commissions to write for orchestras, ensembles and soloists. Nigel has received many awards including 2 Arias, 15 AGSC / APRA awards, across both classical and screen categories, the Paul Lowin Orchestral Prize, The Limelight Award and the Gold Medal for Best Original Music at the New York International Radio Festival. In 2004 he was awarded the HC Coombs Creative Arts Fellowship at the Australian National University and holds an honorary Doctorate in Music, awarded by the University of New South Wales in 2012. He has conducted all the major symphony orchestras in Australia and made his US conducting debut in 2016 at the Lincoln Centre with the New York Philharmonic. Sneha Khanwalkar is a composer of film scores and music director from India. After making her debut with the war drama The Hope in 2004, she worked on several films before her breakthrough on Go (2007) and Oye Lucky! Lucky Oye! (2008), which won three of India’s annual Filmfare Awards. Khanwalkar later made history as just the second woman ever nominated for Best Music Director at the Filmfare Awards for her work on the two-part epic Gangs of Wasseypur (2012). Hers was the first nomination for a female composer in nearly three decades following Usha Khanna in 1983. Gangs of Wasseypur won the 2012 APSA Jury Grand Prize for director Anurag Kashyap. She has worked on additional popular films including Khoobsurat (2014), Detective Byomkesh Bakshy! (2015), and Manto (2018), which has screened this past year at Cannes, Toronto and Sydney film festivals. She has also hosted the MTV series Sound Trippin’ in which she travelled to places like Punjab and Yellapur, collecting ambient sounds and vocals by local musicians to create an original composition that resonates with the location of its origins.